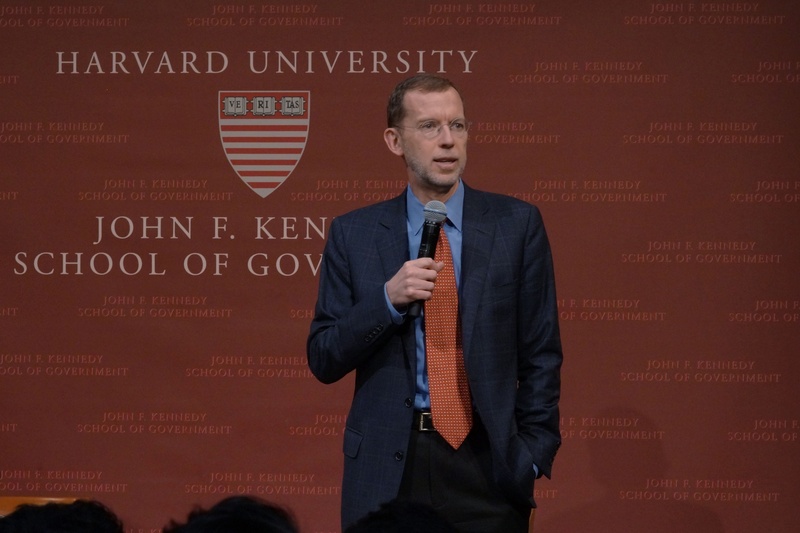 Kennedy School Dean Douglas W. Elmendorf withdrew an IOP Fellowship from Chelsea Manning in September. “Her perspective is badly needed both at Harvard and across the country, and Harvard is worse off without her as a fellow,” Noah R. Wagner ’18, who attended the event, said. The group sat around in a circle, with some students on the floor, according to Trans Task Force member Lily M. Velona ’18, who described the event as “a conversation” with Manning. Velona said the group discussed topics including U.S. military tactics, Manning’s experience in prison, and the reason they were not meeting officially on campus: Harvard’s about-face rescinding of Manning's Visiting Fellow title last month. Manning, a former U.S. army soldier and transgender rights activist, drew nationwide controversy after leaking several hundred thousand classified military documents. She was convicted and sentenced to 35 years in prison in 2013, though then-President Barack Obama commuted her sentence in January. 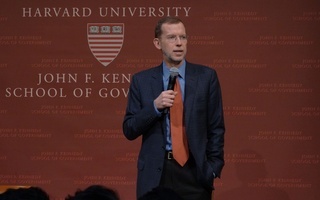 The day after the Kennedy School announced Manning’s appointment, Kennedy School senior fellow and former CIA deputy director Michael J. Morell resigned and CIA Director Mike Pompeo did not show up to a speaking engagement at the IOP, both in protest of Manning's hiring. Hours later, the IOP withdrew Manning’s offer, drawing nationwide ire. Doug Gavel, a spokesperson for Harvard Kennedy School, confirmed in an email that “the IOP was not involved” in organizing Manning's appearance at the Democracy Center. Velona said that the change in plans made for a better, more intimate conversation last week. In his letter announcing Manning’s fellowship had been rescinded, Dean of Harvard Kennedy School Doug W. Elmendorf said Manning was still invited to spend the day on campus, just not with the fellow title. The New York Times later reported that Manning declined the modified invitation. “Chelsea Manning is a personal hero of mine for the same reasons that she is an unparalleled figure in American politics," Wagner said. "No whistleblower has ever received a sentence as long and harsh as the sentence Chelsea faced, and after such harsh repression, few people would continue speaking out as boldly as Chelsea has since her release." Instead of standing up for their decision and following through with the principles they acted upon by appointing Manning, the Kennedy School has caved to ideological pressure. The Kennedy School has helped demonstrate that public opinion and optics outweigh a commitment to open intellectual inquiry and diverse, critical academic discourse.